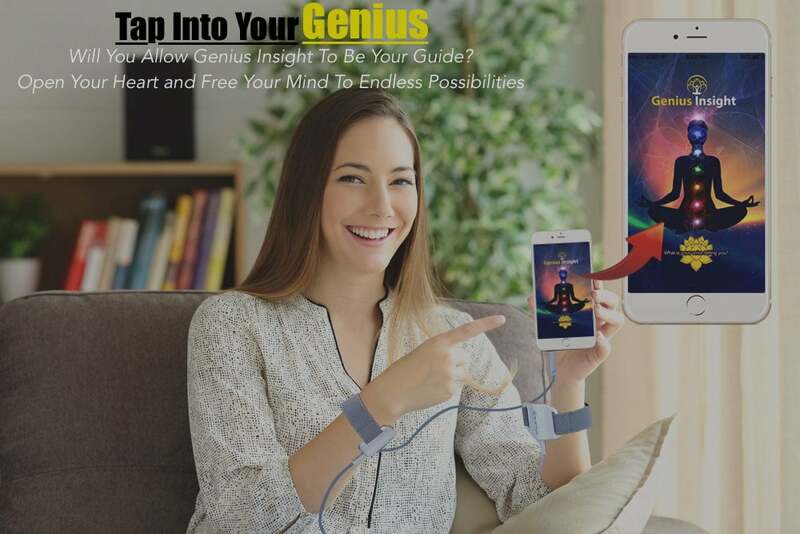 Genius Insights is an interactive Biofeedback tool that can not only analyze your health conditions but can bring your body back into balance by generating healing audio Sound tones unique and specific to you needs. This APP is a vast an expansive program combining many healing modalities into a single APP. From acupuncture, to nutrition, to homeopathy, energy meridians, spiritual tools, herbs, medicinal and emotional essential oils, Genius Insight is arguably the most expansive Holistic Healing App on the market today. Genius Insight APP is done on a concept of measuring frequencies and then determining the responses based upon certain deviations from a standard normal range. It’s done by employing patented voice analysis software. It compares the voice imprint against the Genius Software Database containing thousands and thousands of energetic frequencies and signatures ranging from herbs, emotions, homeopathic’ s virus activity, auric field disturbances, chakra & acupuncture imbalances to name a few. The voice is also broken down using Fast Fourier Transform (FFT) algorithm and then testing is essentially comparing the frequency of said item against the single frequency of the voice tone. It then looks for discrepancies in terms of the pitches, thoughts, etc. of the comparison between the two items. These are then translated into a numerical value. The highest and lowest numbers indicate the highest probably of disturbance. The Balancing process plays a respective tone for the said item for the duration specified. Each item contains the energetic signature or imprint of that specific item, so the program is working on balancing a specific item with a respective frequency. The picture scan and identifying characteristics and birth details are extra components to help strengthen the energetic link. When we are born we come into this world vibrating at a certain frequency. It is your "energy signature". Your vibration is a measurement of the speed your energy flows around your body, the speed and direction of your chakras. This relates to how fast you process ideas, emotions and situations... It is something that you cannot measure yet you know it exists. Schedule a session with Kerry quickly and easily online. Download the app and try it for 15 days at no cost. Book a free 20 minute session with Kerry.